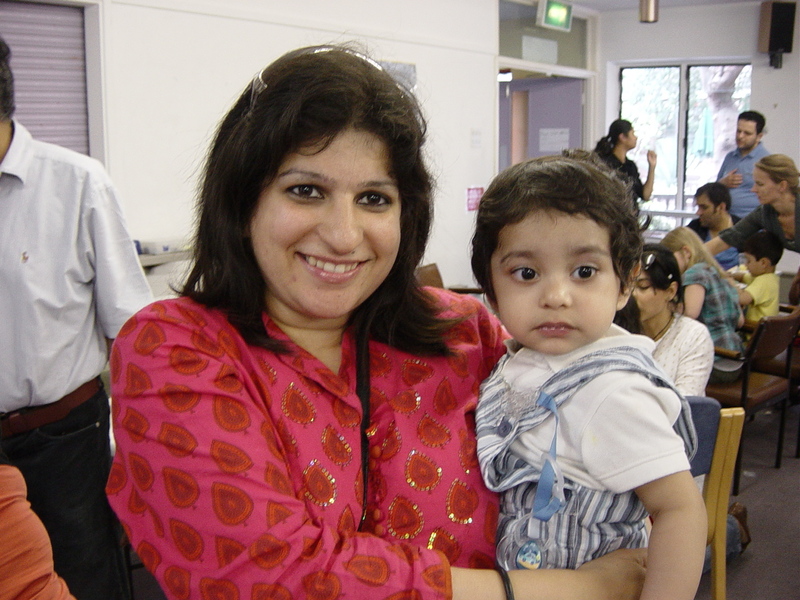 Deaf Parenting UK is celebrating their 10years anniversary by joining force with Harrow Deaf Club on Sat 2nd July 2011 to have a fantastic family fun day with BBQ which was a great success and attended by 150 people including families and children of all ages. We were so lucky, after a wet week, the sun shone through, everyone had so much fun, especially the children who had a various activities including art& craft of painting/ decorating their mirror frames, Tombola, Lucky Dip, face painting, Pinata, bouncy castle and some party games. 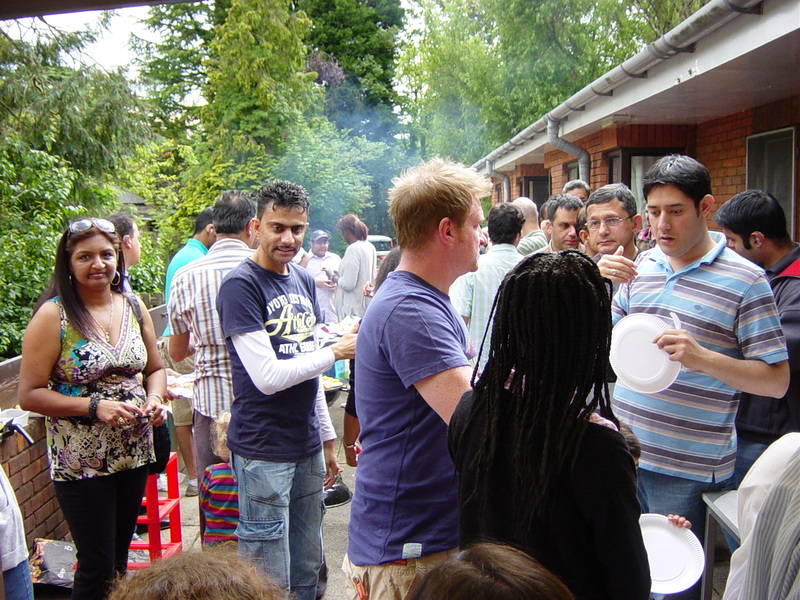 Adults met up with other Deaf parents and networked, enjoying delicious BBQ! 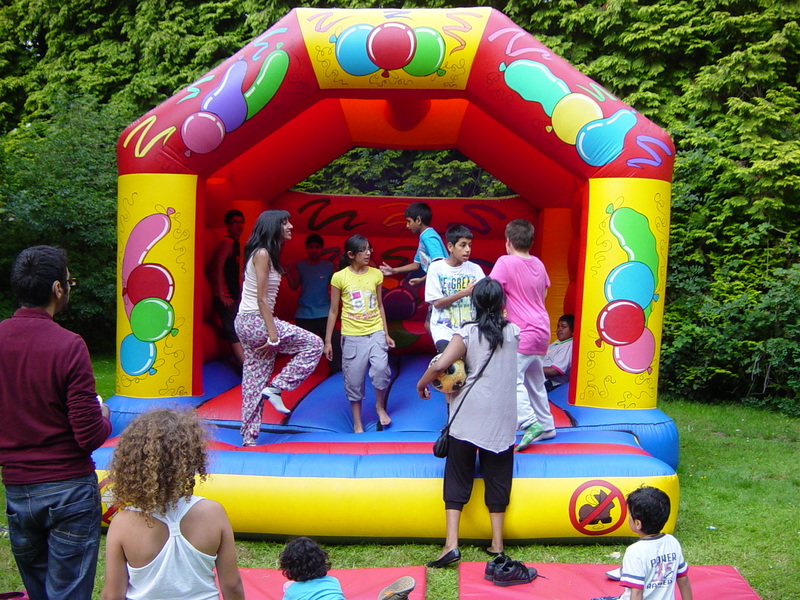 Deaf Parenting UK wish to thanks Harrow Asian Deaf Club for organizing such event as it is opportunity to recognize our charity work aswell as promoting fun day for Deaf parents and families. 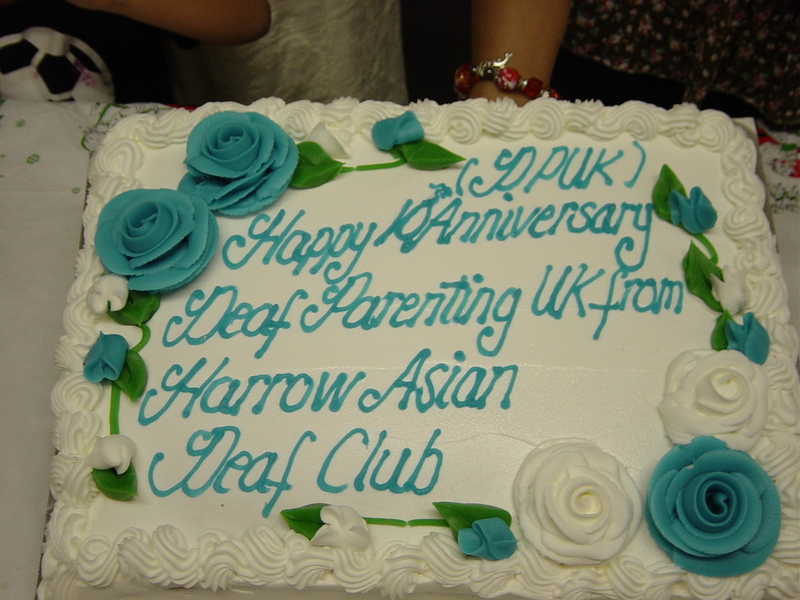 Harrow Asian Deaf Club rounded off the day with a surprise 10years anniversary cake to Deaf Parenting UK, to the delight of all children and families involved who tucked in delicious cake.